For years, his was a lone voice in the wilderness. Guido Lanfranco was talking and campaigning about the importance of conserving nature when this was considered a crazy notion and an antithesis to development. 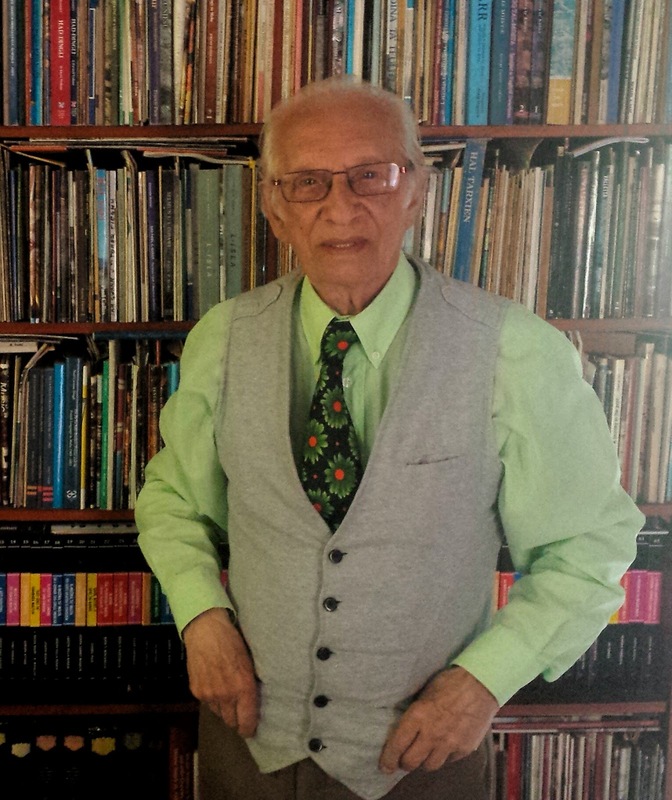 Over the years his work in educating those who would listen helped pass on both a greater appreciation of the Maltese countryside and kick-start the movements to help protect them. There is still much that needs to be done but if we have reached the current state of environmental consciousness it is not an exaggeration to claim that much of the merit is down to him. 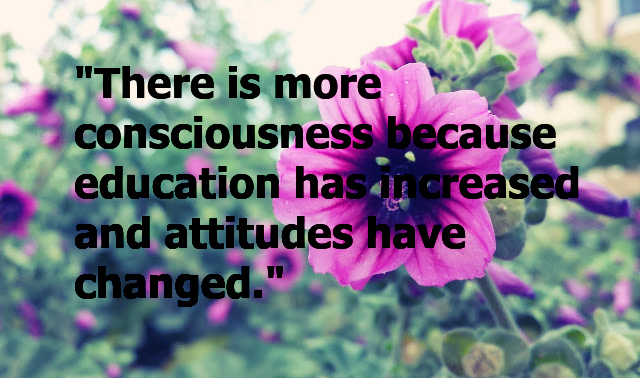 Were you always interested in nature? When I was young I always used to be aware of what was around me; insects – particularly grasshoppers - and wildflowers. We didn’t live in the countryside or near the countryside but I used to go to the Stella Maris school in Gzira. At the time it was still a recent build so it was surrounded by fields. During our breaks I used to go out searching and seeing what I could find. I didn’t know anything about whatever I came across because no one who knew about them used to come with me. Still I was curious to know what they were and what they weren’t. When I learned to read I used to read as much as I could on them. 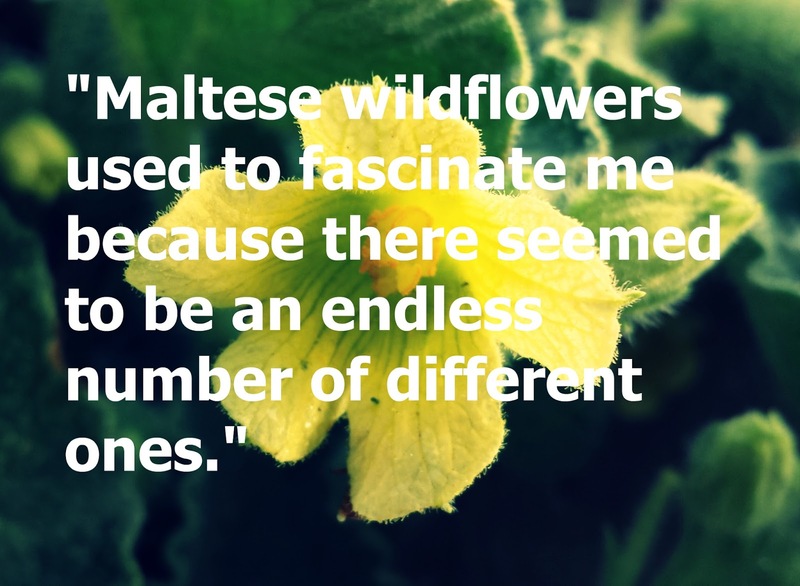 Maltese wildflowers used to fascinate me because there seemed to be an endless number of different ones. I didn’t keep or record them but I used to see them and maybe occasionally pick a poppy. But I always wanted to know more and that increased as I grew older. So how did you get to learn about these plants? When I grew up I became a teacher and as I was good at drawing I started drawing wildflowers. With wildflowers you have a certain degree of freedom in how you draw them; wilting, with a straight stalk, slightly dropping. It isn’t the same with insects where there is a lot of symmetry and you have to be very regimented using a specialised technique. I still collected insects and wildflowers. In college I had started pressing flowers and a teacher who used to really take an interest in students suggested that I go to the Argotti Gardens as they had plots with wildflowers there. The Argotti Gardens were an extension of the University and always were associated with the Department of Medicine in some form or another. 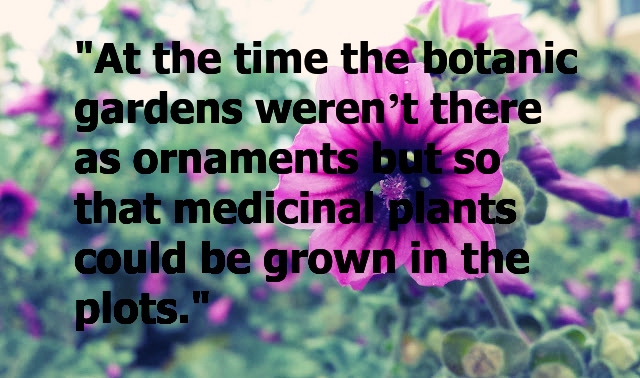 At the time the botanic gardens weren’t there as ornaments but so that medicinal plants could be grown in the plots. People didn’t go there for walks; that came later. Their primary function was to have a supply of wild plants. Obviously this need declined as medicine made more advances. At the Argotti Gardens there was a Head Gardener, Karmenu Penza, who had been named Officer in Charge thanks to his experience. I used to go there and he was very patient with me as I didn’t go there once or twice. Every time that I found some new plant I would go there and he would always try to tell me what they were called, their botanical names. I learned a lot off him. I didn’t have a lot to go by for learning wild plants’ name other than Sur Penza. He didn’t tell me everything as he didn’t know everything but I wasn’t expecting him to answer all my queries. In time I found out that some of what he had told me was wrong but that was due to how he himself had gotten to know about them. And it didn’t really matter as he had always tried to help. Then he retired and the person who replaced him wasn’t really interested. What did you do to further your research then? Once I began interesting myself, I took things very seriously. At the time those who had a good knowledge of nature had either passed away or were no longer active so, apart from that early bit of help from Sur Penza I didn’t receive any special help. However in the sixties those who were interested started to increase. As I said, I used to write in the newspapers – both the Maltese and English ones – and when you start writing frequently awareness begins to increase. When in 1962 I saw that there were enough people interested I set up the Natural History Society and we held our first meeting at the British Council in Valletta. We began doing lectures as well as some exhibitions of drawings I and a couple of others had made. I organised a number of events even though I had no plans of exhibiting these paintings. At that time some books about wild flowers started making their way from England. There had been one book published in 1950 – Descriptive Flora of the Maltese Island – by John Borg who was a professor in the Natural History department. I bought a copy of that book which was some 500 pages. I bought a copy but in time it fell apart because I had use it so much. That book didn’t have any pictures either. By this time were you looking to share your knowledge by publishing your findings, right? In 1955 I published by first book. At the time there were only line drawings. 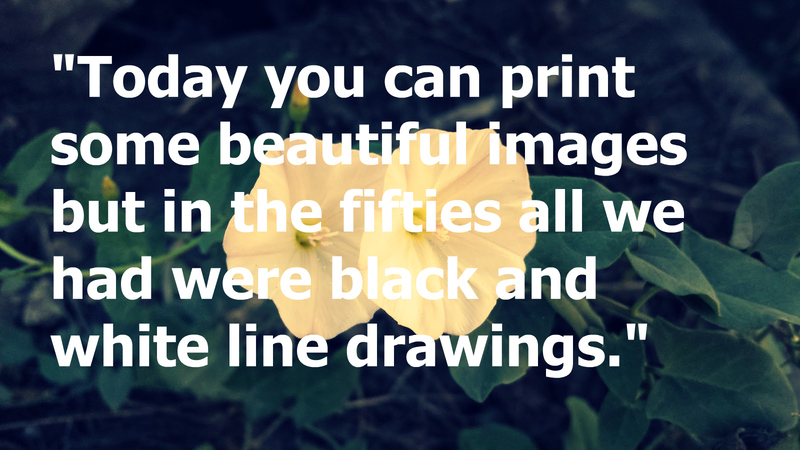 Today you can print some beautiful images but in the fifties all we had were black and white line drawings. Still, in that first book I had line drawings of three hundred species that I had collected up till that point in time. That book was reprinted some four times largely because tourists who came to Malta were very interested in our wildflowers. They were used to going for walks in the countryside but were familiar with their own wildflowers. So when they came to Malta and saw all these new flowers they wanted to know what they were. So that book did very well thanks to the tourists. Then I published it again with six hundred illustrations. Again, don’t imagine any particularly fine drawings because there is so much that can be done with line drawings. What we did do is group the drawings so that white flowers were grouped together, red flowers together and blue grouped together. That way if one found a white flower it would they would know which section to look at. So you narrow down possibilities and you come as close as you possibly can. In the meantime I had begun writing a lot of articles in newspapers, doing propaganda in favour of wild plants and nature. A lot of people couldn’t care less about wild plants because they cannot eat them or anything off them. They call them haxix hazin (literally translated: bad grass). It is ignorance. 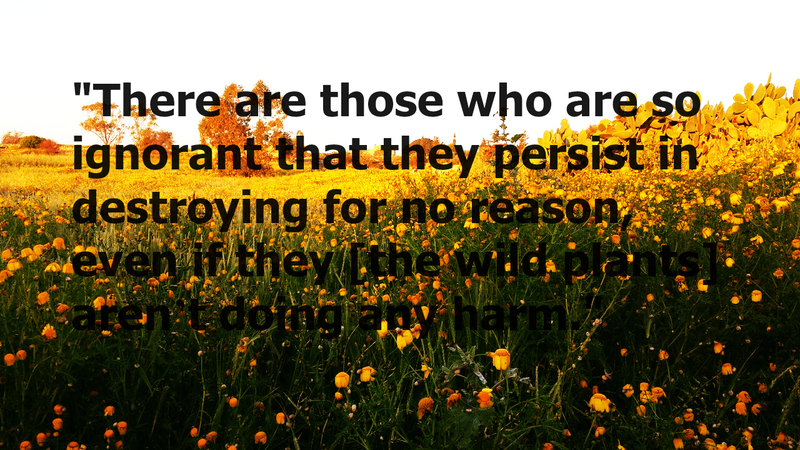 There are those who are so ignorant that they persist in destroying for no reason, even if they aren’t doing any harm. Someone once told me that there wasn’t any need for such grass and I replied that unless they are doing any harm he should leave them there. His reply was that on windy days a lot of paper and rubbish gets stuck in them! Again, I replied that it is people who throw away that rubbish! What a mentality! If that were the case we could pull down churches because a lot of rubbish get trapped on the parvis when it is windy. What inspired you to write? I used to observe everything and during the war we didn’t go to school so I used to remain in the yard, searching and reading. We didn’t have a big yard but I learned a lot of things. A lot of butterflies used to come to our yard. Because even butterflies were much more frequent. Now they’re vanishing as well. 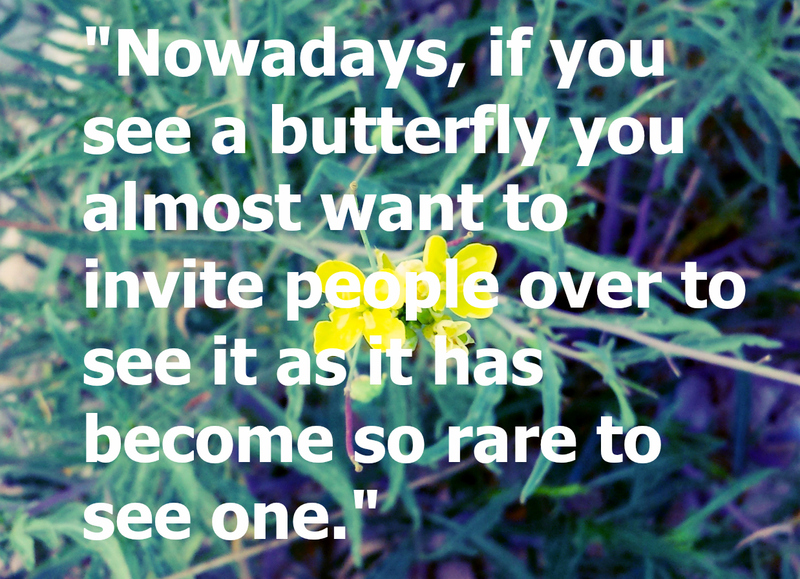 Nowadays, if you see a butterfly you almost want to invite people over to see it as so rare to see one. It is hard to see the common large white butterfly. Before when you went to the countryside on a windy day you would look for a sheltered valley. There you’d find butterflies because they too go to shelter from the wind. And with every step you made you would be surrounded by butterflies of all kinds. Now some of those butterflies are no longer to be found in Malta. The small copper butterfly comes to mind. There are also other insects that are no longer found in Malta. How many species of wild plants are there in Malta? Let’s say a thousand. There are those who are very common, those who are less so and those who are rare. Their study is very interesting because there are different plants in different areas of the island. In areas like Dingli Cliffs and Ta’ Cenc there is still the older rock. In other areas that rock had wasted away. Where there is still the Upper Coralline layer of rock you find plants that are remnants of a by-gone age. For instance the Widnet il-Bahar (the Maltese rock-centaury which is the Maltese national plant) is a remnant of ancient flora – paleo botany it is known. We might be biased but what makes Malta such a unique country? In Mata there is an interesting bio-diversity especially for such a small space because there are many different species. The ecology and inter relations are interesting and there are many. In England and similar countries you find large expanses were there are only one or two species whereas in Malta in one square mile you find loads of different species. The bio-diversity stands out. Still, unless people have conservation systems those species can still diminish and disappear if the soil and water are polluted. The balance is very delicate. Even animals and plants that we don’t like form part of the eco-system. They aren’t there so that we can like them. They are remnants of the balance of nature, all of them. A lot of people still believe that as long as they have enough food and money they’re fine. They couldn’t care less what happens elsewhere. Talking of environmental consciousness, how has that changed over the years? In the seventies we changed the name of the Natural History Society of Malta because the government of the time had published a legislation that you couldn’t use the words Malta and nation wherever you wanted. We were in a period of transition where membership was on the increase and our readership were more conscious of conservation. As a result we decreased the collecting of wild flowers and insects. That didn’t meant that I didn’t collect anything. Common plants I used to collect but rare plants I began trying to take photos of. For the record, not so that the photos could be things of beauty. Or else I used to draw them. I also used to pick a leaf so that I had a record that I had found it. So we re-named the Natural History Society of Malta into the Society for the Study and Conservation of Nature so that we included the words study and conservation, not collecting. The aim was to decrease the desire among people to pick plants or insects. In the eighties and nineties, our consciousness began taking a different form because governments were very slow in doing anything to conserve nature. But slowly clauses were introduced here and there. Still, although they were in the law, there was very little enforcement. It was when we got into the European Union that things began being taken more seriously. The EU began inspecting how things were done and ensuring that regulations were followed. In the meantime conservation, field studies and means of communications increased. The proliferation of computers and the facilitation of communication with organisations overseas increased information. The local group joined the international union that is Nature Trust. How do you judge the current situation? There is a lot of disorientation these days. People are ruining the world. Even in Malta. They want to build forty story buildings in Tigne’ and St Julians. If you take the people who will reside in such buildings and spread them over a piece of land then you get the same level of contamination. There is drainage, water and lack of water, they have their rubbish…those are all things that have to be taken care of. The picture isn’t positive. When they make their calculations they aren’t taking considering the environment. But aren’t people more aware? 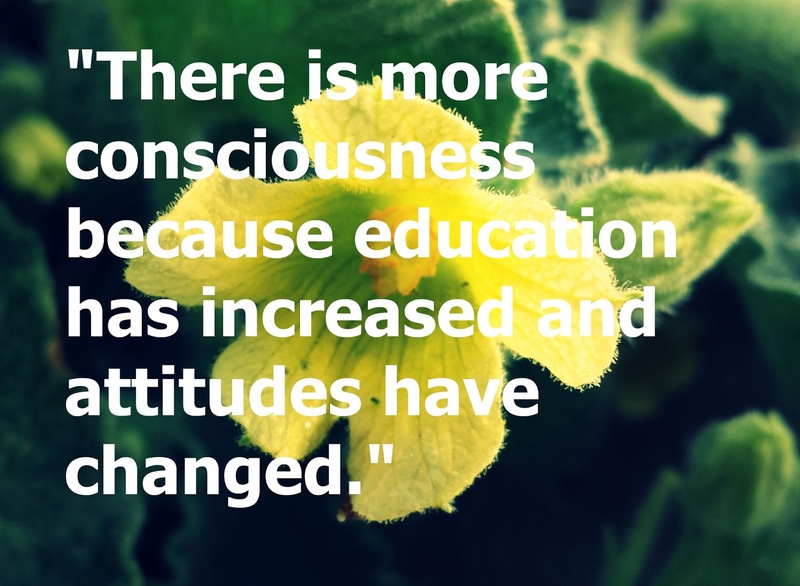 There is more consciousness because education has increased and attitudes have changed. Due to the European Union the authorities have to take care of the environment and the conservation of nature. If there wasn’t that someone pushing them nothing would get done. No government would have passed a law to limit bird hunting if they weren’t pressed to do so. Up till a few years back there wasn’t even a ministry for the environment. Governments have to be pressed. What do you think of the public embellishment that rely heavily on cactus and succulents which are seen as less resource hungry? Cactus and succulents are good for some gardens. You still have to take care of them even though they are resistant. These days they also rely heavily on plants that are grown in greenhouses. Up till the 1950s and 60s, central strips and public gardens used to feature predominantly geraniums and the like. When those flower they only produce a few flowers, not a carpet of colour. Today in traffic strips or roundabouts you see only red or only yellow flowers depending on the patterns they choose. Those are imported from overseas rather than grown locally. Financially it pays them. For example they order 20,000 red geraniums. When they arrived they are transplanted and you have a carpet of colour or a nice border. Then the next year they rip up everything. In the meantime they would have made a new order and transplant these when they come. To grow those plants you need green houses that are temperature controlled, with timed watering and fed hormones. 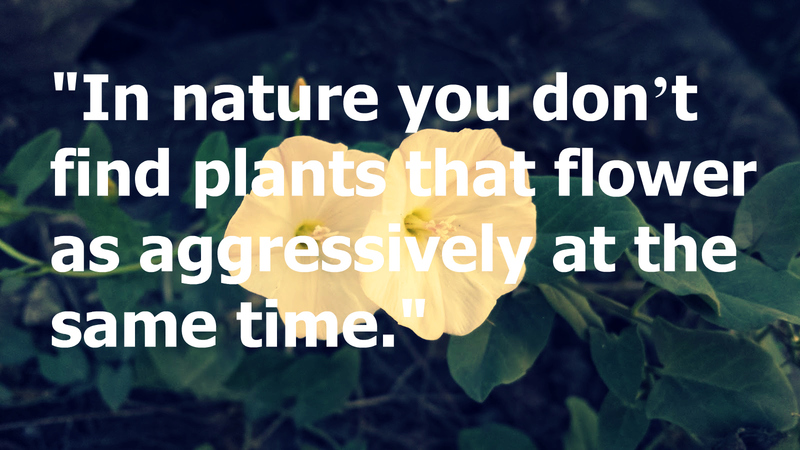 In nature you don’t find plants that flower as aggressively at the same time. Even in shops you find plants that are covered with flowers which we never used to see before. It would have a few flowers, then a few dry off and are replaced by another couple of flowers. These days plants are controlled through hormones. There is a particular spray that stimulates flower growth. So they can make things more attractive but it costs money. Then there is the maintenance, because you aren’t going to do all that for just a week. Should wild flowers be used in some places instead? I think that would be for the best. The national plant is now being propagated as are some other plants that are native to Malta. 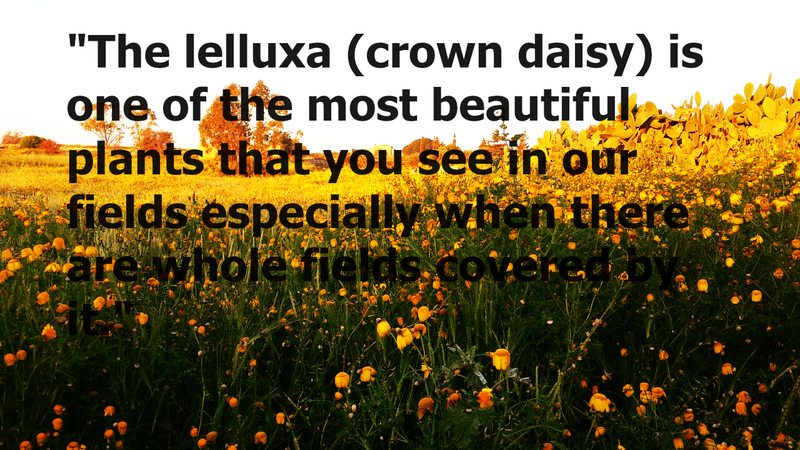 The lelluxa (crown daisy) is one of the most beautiful plants that you see in our fields especially when there are whole fields covered by it. Overseas they sell its seeds. That is one of the most beautiful flowers particularly at around March and April. In the meantime when some department says that they are going to develop an area because it is run down, it often turns out to be a bad thing. When it is run down there are the wildflowers and its own eco system. Then everything is destroyed. Everything is covered up by concrete, cement and stone with a few plants in some soil. Most probably resistant succulents like aloe vera. Are you still involved in the various associations you set up? At around 1978 I saw that members had increased, we had changed the name and things were progressing I resigned so that it wasn’t just about me. At the same time my work load had increased both as I was writing more books and because of my job as a teacher. So I started leaving things in the hands of those who were younger and were showing a keen interest. I kept on helping them in the form of lectures, outing and with any information they might need. I’m an honorary president. But I couldn’t carry on. Do you still go out in the countryside? I don’t enjoy it. When I used to go out in the fifties and sixties you didn’t see anyone. You would hear birdsong, dogs barking, maybe a rooster. Before I used to go out during both the week and the weekends. But these past ten years I haven’t gone out. I feel out of place, intruding. Before I used to feel part of the environment. There wasn’t a lot of noise, there weren’t many things to irritate you. Transport wasn’t as commonplace so a lot of places weren’t accessible to people. 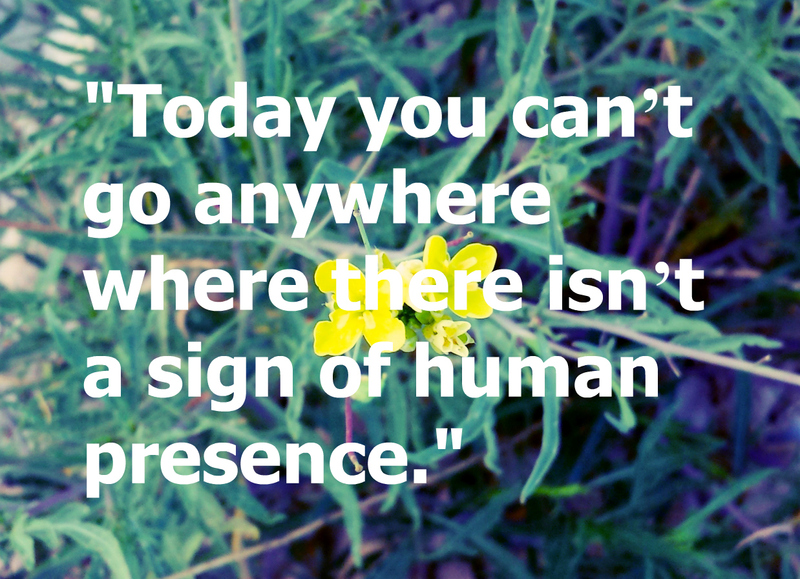 Today you can’t go anywhere where there isn’t a sign of human presence. I had done a country code for members of the Natural History Society. One of the clauses read “visit the countryside as much as you like and do what you like but when you leave do not leave any sign that you were there”. Meaning that you don’t start any fires, you don’t cut up any plants, you don’t throw away your rubbish. You don’t have the right to destroy anything because that isn’t yours but everyone’s. Enjoyed this interview? Then you'll love the story of Mrs Henrietta Chevalier, a Maltese woman who risked her life during World War II to help save that of hundreds. If you're looking to get a wider picture of the Maltese islands, follow Snapshots of Malta on Tumblr, Instagram and Facebook.